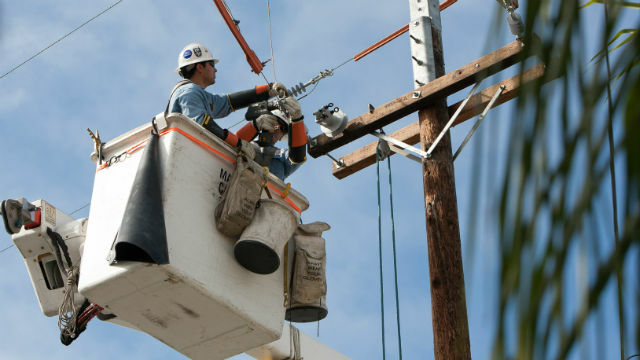 San Diego Gas & Electric said Tuesday it is requesting that the California Public Utilities Commission waive a state-mandated high-usage fee that affected some 105,000 SDG&E customers, primarily during the summer months. According to SDG&E, the fee causes electricity bills to spike during months when energy use is higher than normal. Customers who used more than 400 percent of their baseline allowance were charged for their high usage and could have saved roughly $30 per month if they had not been charged. The utility company filed the request with the CPUC on Nov. 30. SDG&E is also considering eliminating seasonal pricing, paying out the California Climate Credit as a lump sum in August to offset high energy use during summer and conducting a revised baseline allowance study. Those three changes in accordance with the elimination of the high usage fee would deliver significant cost savings to utility customers, according to the company. SDG&E doesn’t know when the commission may rule on the request, but the company hopes to get rid of the high usage charge before summer 2019. Residents can also avoid high usage charges by enrolling in one of the utility’s time-of-use pricing plans at sdge.com/whenmatters.